It’s the General Purpose Reloadable (GPR) prepaid card. As the name implies, these cards can be used almost anywhere (in both cyber space and physical space), and they can be loaded with funds over and over again. What about the good money habits part? For starters, prepaid cards pose no risk of debt (unlike a credit card) or overdraft fees (unlike a bank debit card). You can only spend what’s loaded on the card. Period. For cards with convenient load options, they’re one of the simplest, most effective budgeting tools around. You can use them as the electronic equivalent of the tried-and-true cash envelope budgeting system. Just allocate cards to each of your major areas of discretionary spending, and load them up with the budgeted amount. You can also use the cards as little buckets of funds for short-term saving goals and charitable giving. Unlike cash in an envelope, a good prepaid card can be used online, maintains an automatic spending history, comes with purchase protection, can be locked if stolen or misplaced, and has a ton of other useful features. So, who’s a good recipient for a prepaid card as a gift? Your kid or teen. Maybe it’s time to make the transition from the piggy bank or the money jar. Replace it with a prepaid card. Better yet, get your kid separate cards for spending, saving, and charitable giving. Then split any allowance or chore payments between them to teach the brilliance of automated saving and giving. (Note: the cards work for pre-teens too.) Teenagers can even have their earnings from part-time jobs directly deposited on their cards. Your spouse. Tread carefully though — think about the message you’re sending first! A card you both contribute to regularly to build up an emergency fund or a family vacation fund would be well received. A “Lunch and Latte Budget” card might be well received as long as it’s a his and her combo with the same weekly budget loaded on each. Your friends. Federal law requires card issuers to collect sensitive personal info about the cardholder before opening an account, so you can’t just order cards for your friends or their kids. 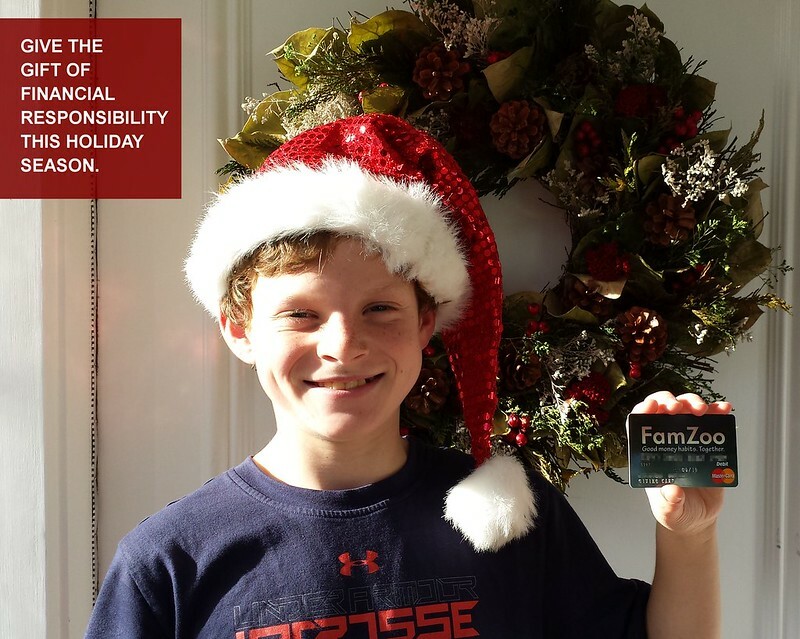 With FamZoo, you can do the next best thing though: you can pay the monthly fees for your friend in advance with a gift subscription. Here’s how. When your friend redeems the gift code during registration, she’ll be credited for the free months and can place her card order. Your tribe. Go big Oh Generous One! Perhaps you’d like to hand out gift subscriptions to a whole group of folks — maybe your colleagues, your clients, or even families on your holiday card list. Can do with FamZoo! Just contact us to find out about how to make discounted bulk purchases of gift subscriptions. You can even put your own branding within our app. Imagine your bright shining face or logo whenever that group of families peeks at their card balances on their phones or in their browsers. Yikes! So, put...the...gift...card...down, back away from the rack, and consider a general purpose reloadable prepaid card instead! If your recipient will be using more than one card for budgeting, saving, or donating, be sure to check out our unique offering of linked prepaid cards.